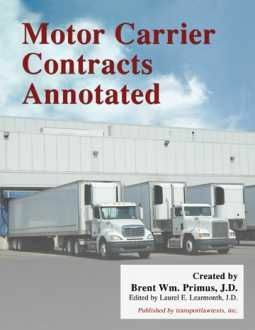 It is the only text covering the laws, regulations and court decisions governing transportation and logistics in the current deregulated environment under one cover! 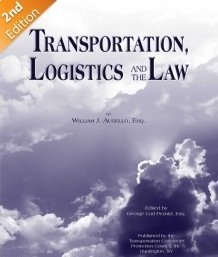 It covers real-world experiences during the author’s 50 years of practicing transportation law, during which he counseled shippers and their trade associations, carriers, brokers and freight forwarders on a wide variety of problems. Created by - Brent Wm. Primus, J.D., Edited by - Laurel E. Learmonth, J.D. 20 years in the making! This is the only text available today with actual contract clauses that a shipper can use to protect itself! The drafting philosophy of the Contract template is to be “shipper friendly” in that its terms are generally more favorable to a shipper than those that would be found in a carrier’s own tariffs or terms and conditions. by George Carl Pezold and William J. Augello, Edited by Brent Wm. Primus, J.D. This has become THE BOOK for transportation and logistics professionals throughout the country who are involved in claims for loss or damage in transit. 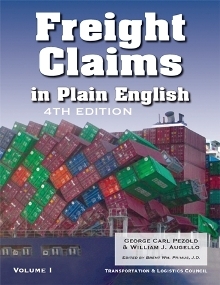 It is used as a text for students of transportation and as a reference for attorneys and paralegals involved in claim problems. 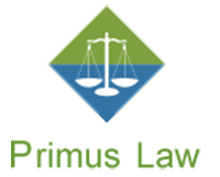 It has been expanded to include court decisions affecting transportation in general and claims for loss and damage to cargo in particular, including developments in international ocean and air transportation, intermodal, and cross-border trade with Canada and Mexico. 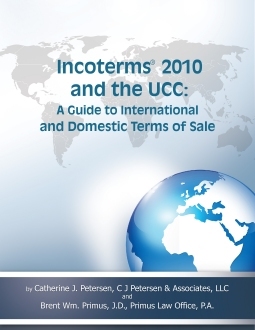 This new 2011 edition contains updated graphics and diagrams to help you make strategic decisions…based on the just released Incoterms 2010. Address : Primus Law Office, P.A.